Here at Flashbay, an independent, global promotional technology company serving over 300,000 unique clients worldwide, we are celebrating 15 years online. From humble beginnings as a London start-up during the early 2000’s we have grown into an international company with more than 750 employees and offices on 4 continents. “We are grateful to our clients for giving us the opportunity to provide them with the best quality promotional products in the industry” said Phil Schlossstein, co-founder of Flashbay. “Our company’s reputation and track record has been built on customer loyalty and long term relationships, and we thank them for ordering with us and placing their trust in our products as a means to represent their valuable brands”. Working with a wide variety of clients from Fortune 100 companies to Government departments, charities, educational institutions, start-ups and everything in between, we have products to suit the needs of all businesses and organisations. We regard exceptional customer service as the cornerstone that enables us to provide the best buying experience to clients. Co-Founder James Roberts believes Flashbay’s growth can be attributed to its people and products - “We have been able to increase our sales year after year by attracting and retaining talented professionals around the world, from the customer facing sales staff right through to our internal functions such as the product design team and operations division”. Customers agree, with Flashbay maintaining an average Trustpilot rating of 9.9/10. 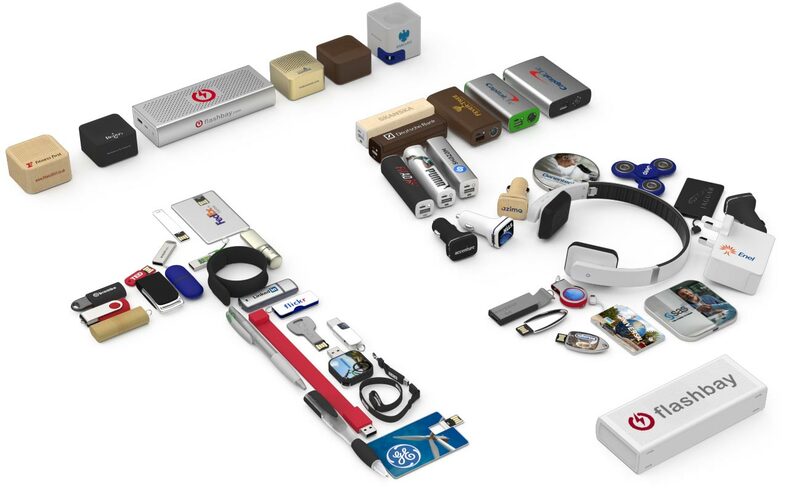 While we initially focused on providing custom branded USB Sticks for the B2B market, becoming the world leader in this sector, over the past 12 months we have broadened our portfolio to include Audio and Power products, ranging from Bluetooth® Headphones and Speakers to Power Banks and Inductive Chargers, all of which can be custom branded to client’s exact specifications. “Our product portfolio has never been stronger and we’re ready and able to take the company to the next level of performance by cementing ourselves as the promotional technology provider of choice for businesses and organisations of all types and sizes” says Steve Webster, CEO. In recent years, we have expanded geographically, further building out our distribution networks and making major headway in Asia Pacific. We currently operate in 5 main markets: Europe, North America, Australasia, South Africa and Japan. Our sole focus is continued growth through product innovation and operational excellence, building on the brand that buyers trust and competitors struggle to emulate. “The success of the first decade and a half was built on a single product class. The next 15 years will be an order of magnitude stronger built on the solid foundation of our broader promotional technology portfolio” concludes Ieuan Williams, COO.